Recently I’ve been getting a number of emails from patients who are asking just what is the difference between standard follicular unit hair transplantation and the more recent “Ultra Refined Follicular Unit Hair Transplantation”. While the differences are subtle they can be important to patients. Since I first became a hair transplant patient (see my blog) and began learning and sharing hair transplant information online over ten years ago, I’ve seen hair transplantation evolve from small sessions of large grafts and incisions (“mini/micro grafts” containing up to 7 or 8 hairs) to much larger sessions of ultra refined follicular unit grafts that are placed into tiny minimally invasive incisions. This evolution – while improving the naturalness, fullness and healing time for patients – made the procedure more challenging and even less profitable for many clinics. Some clinics embraced these patient friendly evolutions while many resisted them and argued against having to implement these changes. Those physicians who rose to the challenge of successfully providing their patients with true follicular unit hair transplantation came to be recommended on the Hair Transplant Network (View list of recommended hair transplant physicians). Patients have been getting positive life changing follicular hair transplantation from these physicians for several years. When patient results and care have proven to not be top notch these physician/clinics have been promptly removed. Many of the leading physicians who have been recommended on the Hair Transplant Network for years embraced this new technique, while also expanding their staff and capability to perform large sessions in excess of 3,000 follicular unit grafts. These leading physicians/clinics have been admitted into the Coalition. After ten years of searching there are only just over fifty physicians recommended worldwide on the Hair Transplant Network out of over 1,000 active hair transplant physicians. Of these fifty plus leading physicians/clinics only just over two dozen have met the ultra high requirements for membership in the Coalition of Independent Hair Restoration Physicians and been admitted. Are other physicians providing positive life changing hair transplantation? I believe that some are. But in my opinion only the top 5% trier of hair transplant physicians/clinics are really worth recommending or going to since the results are life long. Educated patients who demand only the very best and who are willing to travel to get it are forcing the hair restoration profession to provide optimal results or be left behind. 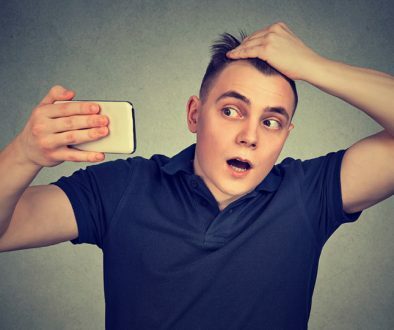 While this patient driven process has caused many if not the majority of hair transplant physicians to be uncomfortable it has resulted in optimal results for thousands of patients online and success for those clinics who have risen to the challenge.